The marshlands of southern Iraq were once a major flyway for billions of birds, a source of fish and dairy products for much of Iraq, and a natural filter for the waters of the Persian Gulf. But the wetlands were heavily drained as retaliation for their inhabitants’ uprising against Saddam Hussein following the Gulf War. When Allied forces entered Iraq in 2003, the marshes were only 7 percent of their original size, and the area’s population had dwindled from 500,000 to 125,000. In 2003, DAI began work on this U.S. Agency for International Development-funded project to tackle the environmental and development challenges facing the marshes and their people. During the three-year contract, the program trained provincial government employees and university staff skilled in and able to apply the fundamentals of marsh restoration and wetland management; identified committed provincial government employees who would carry forward agricultural and livestock efforts; and a cadre of veterinary graduates, previously unemployed, who had experience working with livestock directly in marsh villages; and created ownership by the Marsh Arab tribes, as evidenced by their adoption of program interventions, particularly in agriculture, livestock, and public health. Restore the region and make it environmentally sustainable and economically profitable for marsh dwellers. Improve the management of existing and newly reflooded marshlands. Develop and reach broad international consensus on a long-term comprehensive rehabilitation strategy. Assist marsh dwellers by developing viable economic opportunities and fair social institutions. 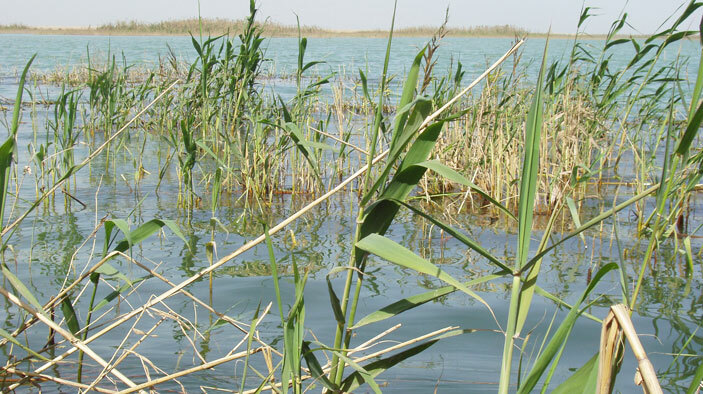 Developed the first hydrologic model for the Tigris and Euphrates river basin, established a marshlands monitoring system, re-established water and soil laboratories in the Ministry of Water Resources in Baghdad and at the University of Basra, and helped the government articulate a comprehensive marsh restoration policy. Reflooded more than half of the marshes. Working in five priority areas—integrated marsh management, agriculture, livestock and dairy, fishing, and primary health care—the project increased cultivated land for sorghum and barley from 4,860 hectares to 21,590 hectares, planted eight nurseries with 1,500 palm seedlings, served 21,000 patients through two health clinics, restocked 300,000 fish fingerlings, and treated 9,972 animals through veterinary extension services.